PACKETMINIG will be distributing 750,000 of it’s PAKT Coins worth $1.00 each (USD$750,000 in total) distributed after the end of the Coin Sale (No later than June 8, 2018). PAKT Win/OSx/Linux Wallets are being developed and deployed during seed stage. Seed stage bounty participants must send their wallet address to the Bitcoin Talk PacketMining Account as soon as their wallet is created and we will add your coins to our blockchain. Important! Please register for each of the individual campaigns you are participating in to receive PAKT coins and follow the results posted in the related sheets. Register for the individual campaigns listed below. PAKT wallets are being generated shortly during the seed phase. Once created download the Win/OSx/Linux wallet from our Github page and send your new wallet address to BitcoinTalk user PacketMining or Telegram user @packetminer1. Your coin rewards will be held against your BitcoinTalk account until we receive your wallet address at which point we will gladly update your rewards profile. These are all final rewards, not representations of stakes or equity. At the end of the campaign all undistributed bounties will be bonused at the end of the campaign. There is also no limit to how many tasks you can complete. Please log your bounty activity on this forum in an entry that details each weeks activity with supporting links. This allows our bounty program manager to allocate your PAKT coins for reward. Bounty will run until the end of the PacketMining ICO Coin Sale on June 12, 2018 or until the hard cap is reached. All participants must either subscribe/follow to these PacketMining services, where failure to do so will exclude them from the bounty: Telegram Channel, Telegram Group, Discord Channel, Twitter Account, PacketMining Facebook Page. Like and share at least 2 posts per week. Post at least one message a week about PacketMining on your page or on an ICO message board. It must be written with your own words, in your native language, and must contain PacketMining’s Facebook link. Subscribe/post to the PacketMining SubReddit to be added pending authorization, please be patient over the <30 day hold. Temporary Link here to our user account: https://www.reddit.com/user/PacketMining. Your account should be at least 30 days old or have 10 posts of comment karma. For a post to be counted, it needs to be posted in one of the following subreddits, or cryptocurrency related subreddits: r/bitcoin, r/packetmining, r/altcoin, r/icocrypto, r/cryptocurrency, r/CryptocurrencyICO, or other that substantiates the reward. External posts should link to either PacketMining subreddit posts, to the PacketMining Website or to the social media links. Twitter audit must be equal to or more than 75%. Must make at least 4 tweets or retweets about PacketMining per week. You must be retweeting PacketMining official tweets and updates regularly. Don’t post everything in 1 day, you are supposed to make the tweets constructive and not simply spam. Invite @packetminer1 the group, once approved you will receive a pitch to post in the group. Only one Telegram/Discord account per person is allowed and a maximum of 1 post per week is allowed in each group. PAKT coin distribution will commence immediately after the end of the ICO with no trading restrictions. Spread the word in your Telegram/Discord group about PacketMining and earn PAKT coins. Original video or article on standard PacketMining ICO, technology, opportunity, PAKT coin, investment opportunity. Publish your minimum 60 second video or minimum 400 word article and post the link to your followers. We will share on the PacketMining social channels. The content must remain active until the token sale ends on June 8, 2018 or reward is forfeit. PacketMining during the seed phase will endeavor to enhance its current website to a Tier One calibre offering and seeks a developer who will undertake this in time for the deployment of the pre-ICO and full ICO campaign. Contact us through the Telegram channel with your portfolio, where preference is given to a developer who can deliver a unique set of Tier One animations and visuals for a compelling UX. 10,000 – 20,000 PAKT Coins in a one time immediate payment after the new site is approved by management. The site, code and graphics becomes the sole property of PacketMining and is not to be duplicated. Must be an active Bitcoin Talk user. All participants must post at least 60 posts having the current PacketMining signature by the time the PacketMining ICO ends to be eligible for rewards. Users with negative trust are not eligible for the bounty campaign and posts in alternate cryptocurrencies section are required. Using multiple signatures at the same time is prohibited. You are not allowed to use another site's avatar. 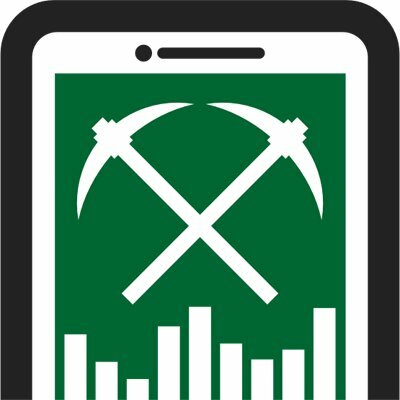 PacketMining.com | Smartphone Cryptocurrency Mining | ICO is LIVE! | Bonus is Active! | Smartphone Cryptocurrency Mining | ICO is LIVE! Follow Here and check the 'Approved for Translation' column for authorization to begin! Translators must do both Announce and Website content. Earn PAKT coins as a reward for translating an Announcement Thread of the PacketMining project by actively moderating the language thread and keeping it active by posting regular updates, news or any important announcements in the local translated thread. Caution (! ): a single post dead thread is useless for the coin sale and will not be accepted. We expect from the Announce translators to take the responsibility to moderate their threads by keeping them active and professional with no-unsuitable content with translated official announcements, news and updates regularly. If a translator just posts the thread and leaves it dead, with no updates, he will either be disqualified or have his reward reduced at PacketMining’s discretion. The announce translation must be original work, if you use google translate or other automatic translators your submission will be rejected and your account terminated from the community. For coin reward counting, only the posts of the OP are counted towards moderation activity. Translators should be active, if OP becomes inactive, another moderator will be secured for updating and moderating the thread. Do not make pointless multiple posts to increase stake numbers, this will result in the posts being uncounted and a penalty imposed by PacketMining. The PacketMining management team reserve their right to make changes to these terms or apply new ones to best serve successful hard cap ICO completion.